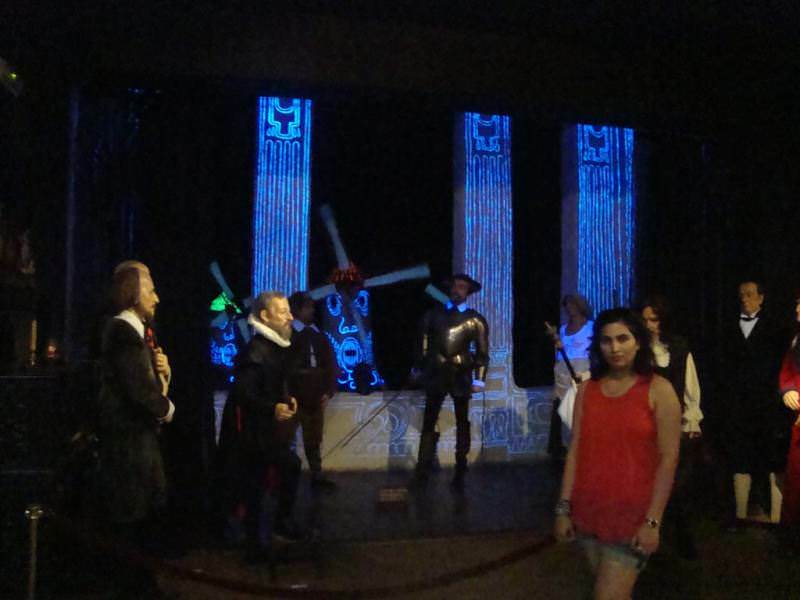 During our Barcelona visit last year, we accidentally ended up visiting the wax museum of the city. We were strolling at La Rambla when we saw the Museum. We were intrigued and bought the tickets to check it out. We liked what we saw. 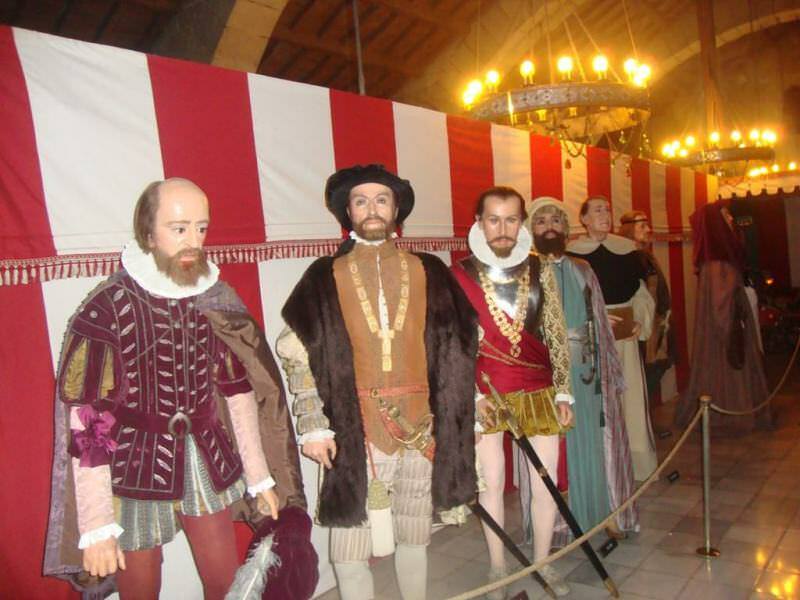 The Museum is officially known as Museo de cera de Barcelona. If you are planning to include this museum in your Barcelona itinerary, then this post might be helpful to you. It provides a glimpse of the museum for you to take the call. If you ask for my views, I will recommend you to visit this place. I found it worth the ticket for 15 euros. I was travelling with my partner and took a lot of funny pictures with him. It took us one and half hours to completely visit the museum. 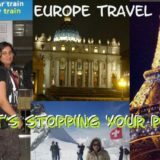 You should visit if time permits after accommodating the main attractions like Barcelona Cathedral, Parc Guell, Sagrada Familia etc. in your itinerary. 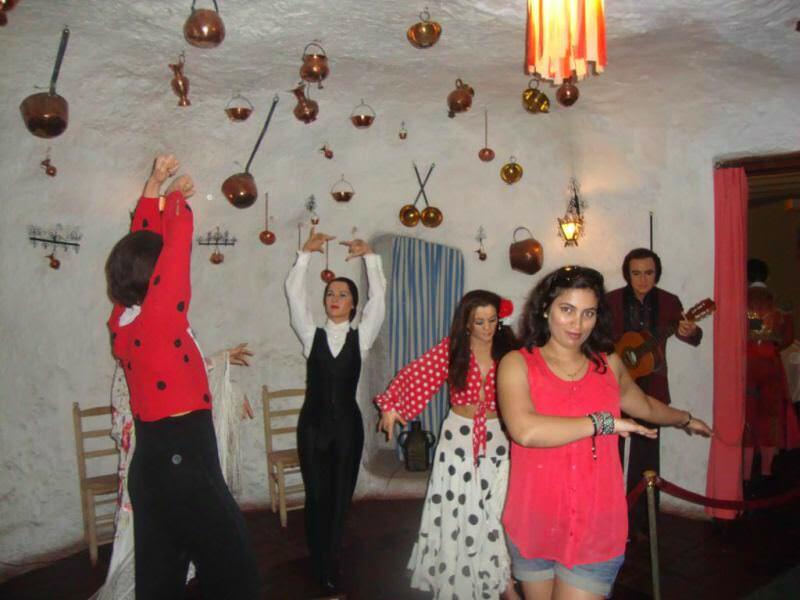 The museum has multiple sections to cater for diverse interests of visitors. the sections have been dedicated to world leaders, military leaders, history, cinema, music, dance, science, horror, space to name a few. I was surprised that the two ideal women of my life i.e. 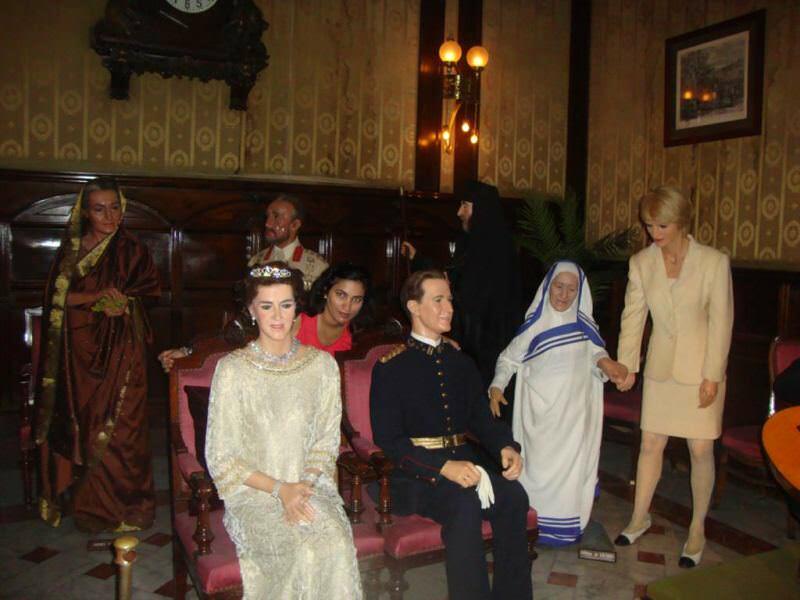 Mother Teresa and Indira Gandhi portrayed at the Museum. 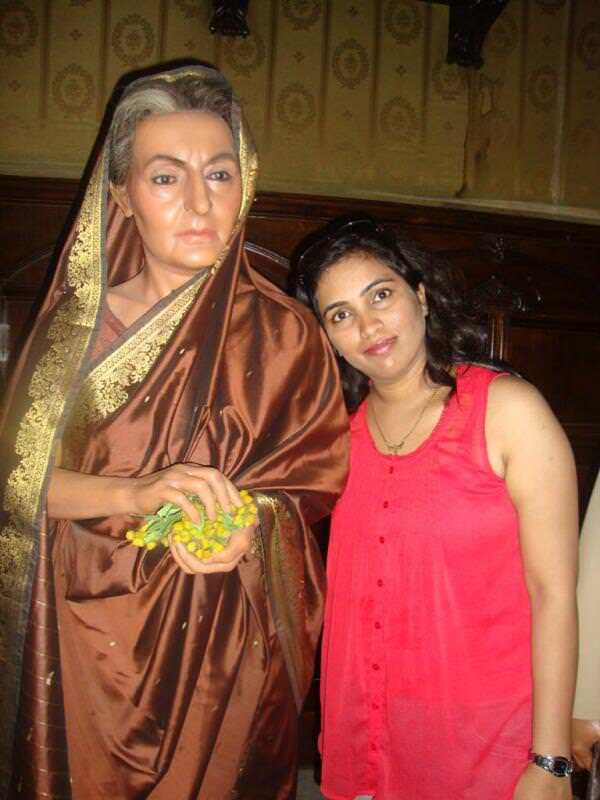 Being a Indian woman, I am thankful the museum for including the first woman prime minister of India. As per my observations, Indira Gandhi was the only Indian leader portrayed at the museum. She looked fabulous and motivating. I was amused to find this space shuttle with aliens at the space section. The music and light around this space shuttle added to the overall aura of the place. Kids will love this section. I have been always fascinated with the Dark Knight. 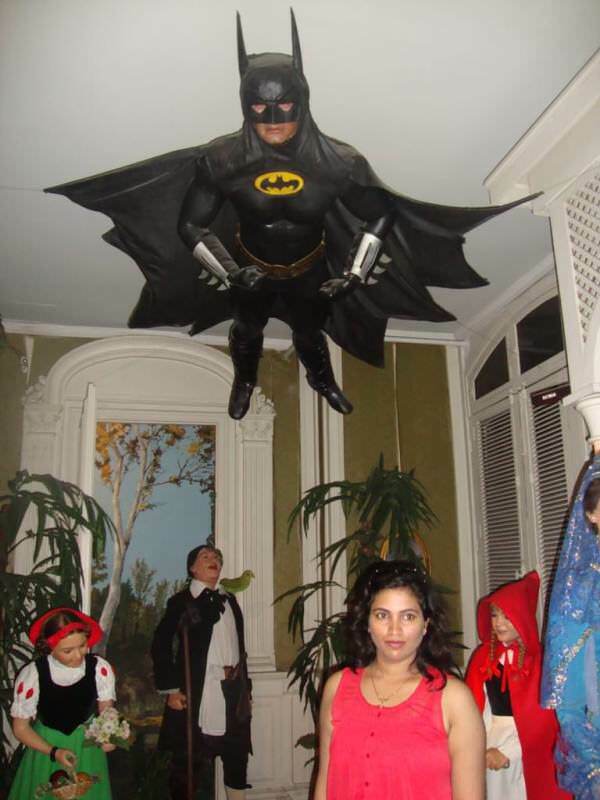 My favorite superhero had been Batman and I did not leave this opportunity to take a click with him. It seems he has just dropped me. I hope you find your superhero as well at this place. Children will fall in love with this section too. I must say that the horror section was really terrifying. I found the depiction of Hostel movie most scary. In order to amplify the fear factor, they have added dramatic lights and sounds to the horror section. The light and sound sensors automatically activate once you step in this zone. Are you guessing what are these guys doing? This is kind of Swayamvara, a wedding scene. Here, the bride will select her groom among these guys. These guys are waiting to get married. I did not know that Swayamvara existed in other civilizations as well. This section showcased various forms of dance and music. I was wondering where are the ladies of these gentlemen. I felt that these statues are going to ask me for a dance or something. The statues have been well sculpted. Here I found the ladies in a girl’s party. I obliged to dance with the girl’s too. The short glimpse of the museum ends here. I am sure you would have found this place interesting. I have added few important details below for those planning to visit this place. They also offer an all inclusive ticket of 29 euros which has audio guide, souvenir photo and guide book included with the ticket. 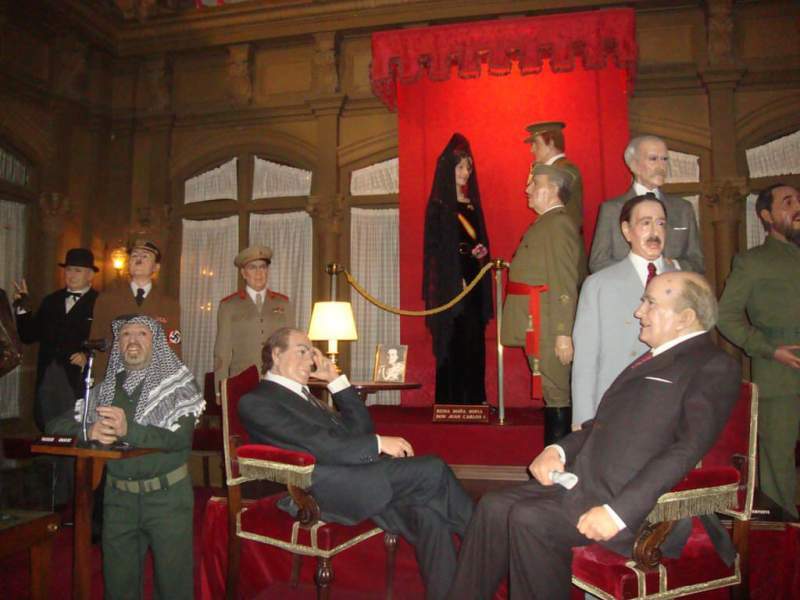 Did this post inspire you to visit Wax Museum Barcelona? 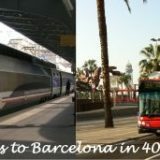 Did you find this post helpful in planning your next visit to Barcelona? 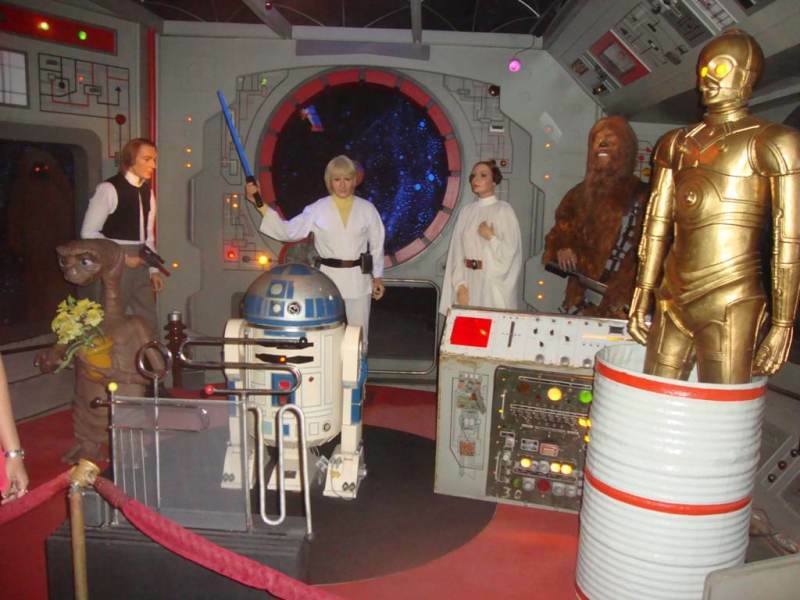 Have you visited other wax museums like Madame Tussaud’s, London? 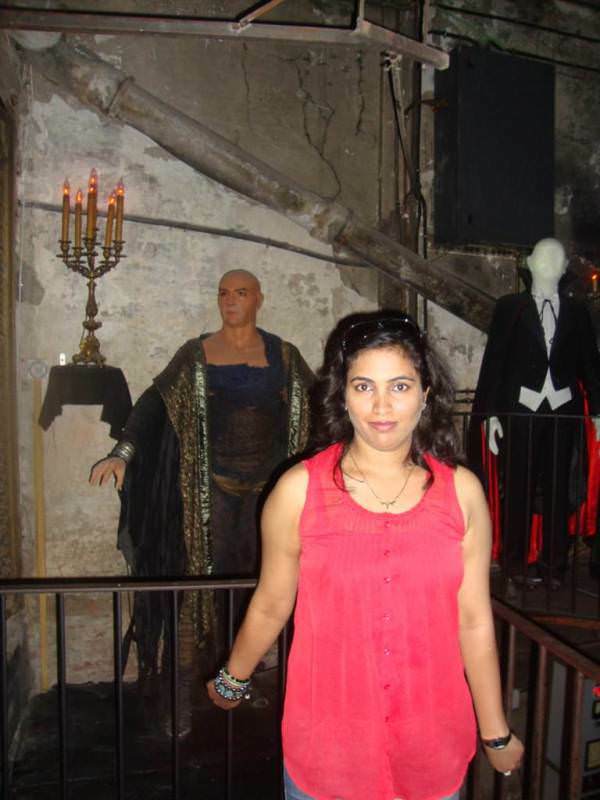 Tell me about your experience at any of the wax museums of the world? 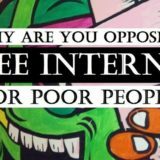 I would love to read your opinions and views through comments. You can also share this review with your friends and family. Just click on the share this icon for sharing your post on social media. 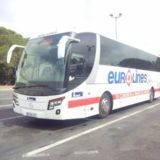 Next story Barcelona City Tour Bus- Why I didn’t take it for sightseeing? 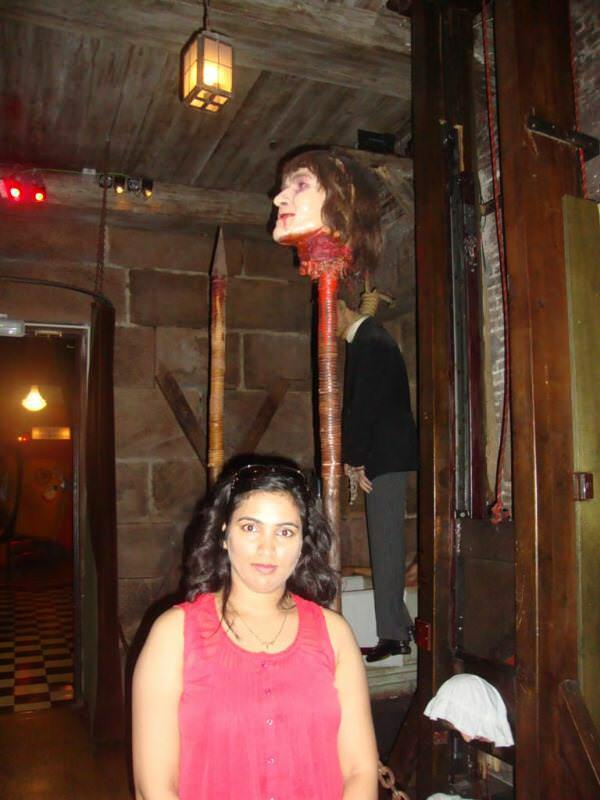 Thank you for the wonderful post.. That scene from Hostel movie looks really scary.. Yes, I thought twice before adding this picture to the post. Wow, I’ve never been here, but it looks like a great place to visit. 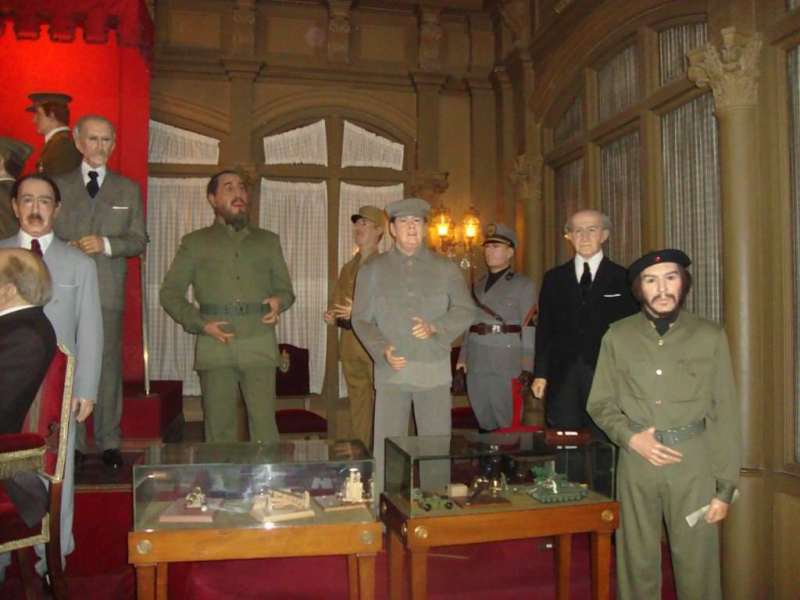 I’m a big fan of wax museums! A very nice Post!…. 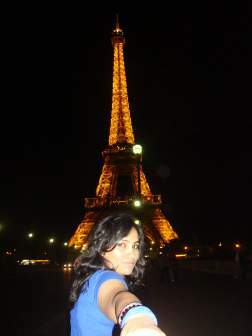 A great Tourist Place!